My māmā and pāpā taught me about decolonization before I even had the words for it. Kanaka Maoli have been passing on this ‘ōlelo no‘eau for countless years, instilling the wisdom of learning through experience from one generation to the next. Hawaiians believe that knowledge comes with experience, which makes absolute sense when you think about it. The fact of the matter is that human beings learn through doing. For example, when learning a language, we can read all about its grammatical structure from a textbook and watch countless how-to videos on YouTube, but until we actually open our mouths and start speaking, we can’t fully engage with the language or conceptualize the world from that perspective. In the same way, we could read pages upon pages on decolonization and know how to decolonize ourselves and our lāhui in theory, but it’s not until we actually live our indigenous lives with the purpose of decolonization that we know what it means to work toward becoming decolonized. It’s my intention that this wise poetical saying, “ma ka hana ka ‘ike,” serves as the framework for Hawk + Hāloa. In refusal of and resistance to continued colonization, this blog seeks to act as a tool of indigenous resurgence and decolonization by examining the ways in which ‘Ōiwi are living indigenous lives today, but especially to experience and take part in decolonization efforts. Through this blog, I plan to share personal decolonizing methods and to connect with Native peoples on a global scale, and also to propose ways in which Kanaka Maoli and settlers alike can kāko‘o indigenous causes, all in the effort of sustaining a healthy and vibrant lāhui and pae ‘āina Hawai‘i. Me and a hoa in Waipi’o. One of the most significant acts of resistance to colonialism, indigenous resurgence, and decolonization is speaking in your ‘ōlelo makuahine, or your mother tongue, and in thinking in your language. This is a concept familiar to many Indigenous scholars who support decolonization efforts, such as Kanaka Maoli scholars Haunani-Kay Trask and Kapā Oliveira, Tsalagi scholar Jeff Corntassel, Kahnawá:ke Mohawk scholar Taiaiake Alfred, and Michi Saagiig Nishnaabeg scholar Leanne Simpson, among countless others. In fact, Trask provides one of my favorite quotes on this topic when she saliently argues, “Language, in particular, can aid in decolonizing the mind. Thinking in one’s own cultural referents leads to conceptualizing in one’s own world view, which, in turn, leads to disagreement with and eventual opposition to the dominant ideology” (43). When we actually speak in our native tongues, we avoid metaphorizing decolonization, a pertinent topic that Eve Tuck and Wayne K. Yang extensively discuss in their article, “Decolonization is not a Metaphor.” By using this blog as the medium, I hope to demonstrate how even seemingly insignificant every day acts can be understood as acts of resistance, indigenous resurgence, and decolonization. He keiki au o ka Pūnana Leo. 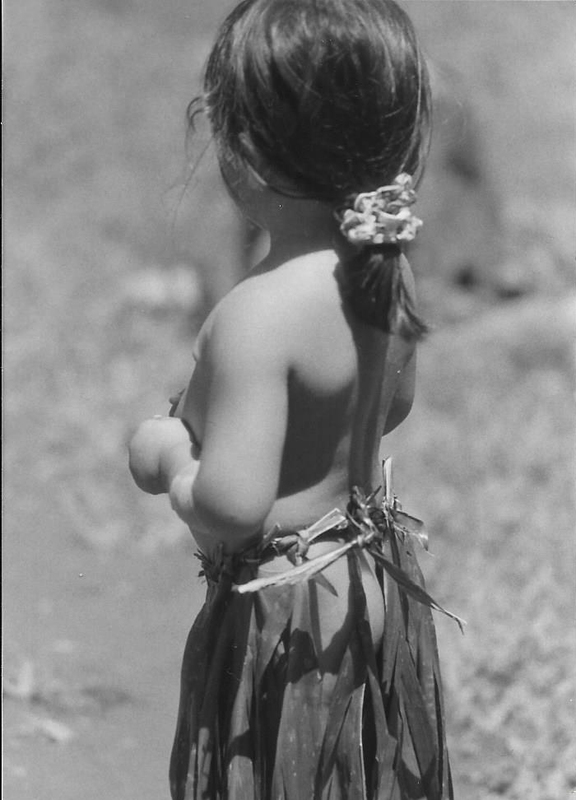 As a wahine ‘Ōiwi, I’m invested in living my culture so that I can pass it on to future generations. My first language was ‘ōlelo Hawai‘i. In the years that I acquired language as a pēpē, my parents spoke to me primarily in Hawaiian, although we spoke English as well. Our everyday activities were set to the music of ‘ōlelo Hawai‘i. My parents would point out different plants in their Hawaiian name, letting me touch, smell, and (my favorite) taste the sweet fruits of the Puna forests. 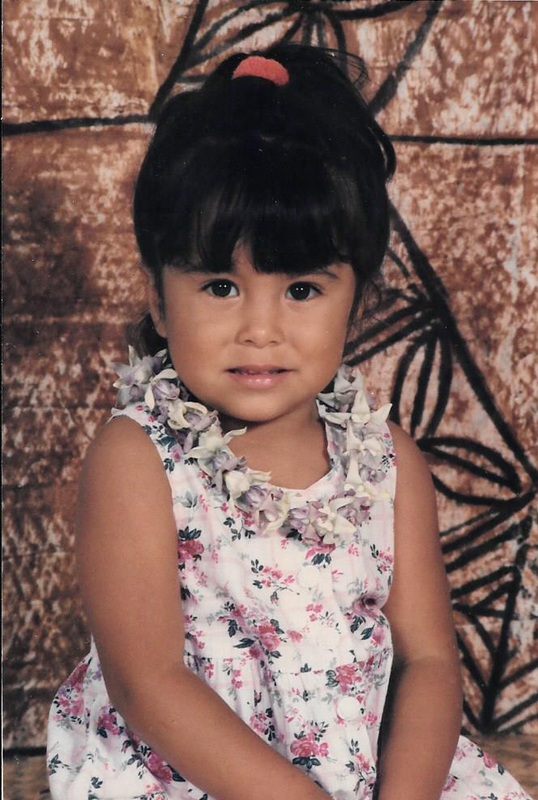 When it was time for me to leave the nest, my parents enrolled me in Pūnana Leo, a Hawaiian language immersion preschool. We moved from Hawai‘i island to O‘ahu when I was five so that my parents could finish graduate school, and there I attended an English speaking school in kindergarten. We moved back to Puna after a year, and I attended Kula Kaiapuni, Hawaiian immersion, in first grade. Still on Hawai‘i island, I changed schools and attended an English-language school in second grade. In the summer leading up to third grade we moved to Maui, and I enrolled in Kaiapuni from third to fifth grade. Although we moved around a lot in my younger years, resulting in me hopping from one school to the next, I’m grateful to my ‘ohana for the opportunity to put down roots in the foundation of ‘ōlelo Hawai‘i. In the sixth grade I changed schools for the last time to attend a private school for Hawaiians on Maui. While I had endless opportunities open up for me, I inadvertently closed off other doors. Even when I was attending English-language schools in my elementary years, I still spoke with my parents in ‘ōlelo Hawai‘i. But sadly, as I got older and became more self-conscious, I began to insist on responding in English to my parents’ queries in the Hawaiian language. In college, I earned a BA in English, and am currently working toward a Masters in English. Only in the last few years have I been working toward regaining fluency in ‘ōlelo Hawai‘i. It’s easy for me to decipher the language in speech and print, but it’s much harder for me to actually speak it myself. My tongue feels as though it’s in hiding, and I’m doing what I can to coax it back out. Thankfully, there are still some roots firmly grounded in the foundation laid down by my mākua. I didn’t have to worry about decolonizing my diet as a keiki thanks to my mākua and tūtū. regenerate culturally-rooted relationships to community, land, and traditional practices to unsettle the self-sustaining structures of settler colonialism. Doing so disrupts the dominant discourse imposed, often violently, upon Native peoples, and recenters indigenous perspectives and objectives rather than focusing on those of colonialism. This blog, as a seed, began to germinate after encouraging each member of the Indigenous Theory class to make one commitment to action during our mahalo circle at the end of the class, where we’d usually express our gratitude. Hearing the multiple ways that each person was going to make moves to decolonize themselves and their families was moving, exciting, and honestly a little bit scary. Scary, because we’d all be held accountable to each other when we’d report back the next week, but mostly because it opened my eyes to how much work and commitment it takes to make significant strides towards decolonization and indigenous resurgence. However, while sometimes challenging, these commitments are necessary for advancing our lāhui. Some people in the class decided to decolonize their diets – cutting out sugar and wheat, quitting soda, and returning indigenous foods to their diets, like poi. Others committed to speaking with ‘ohana and hearing their family and ancestral stories. And a few of us committed to speaking our language more often. Since then, I’ve been trying to speak more and more ma ka ‘ōlelo Hawai‘i. Things don’t come as easily for me in Hawaiian than they do in English, but I’m working on it. 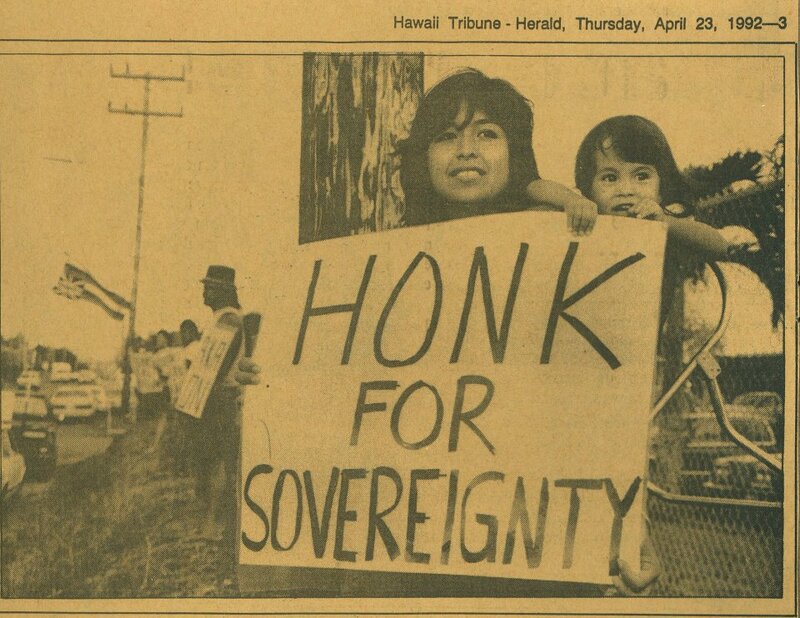 So, when writing for this blog, I might use hua‘ōlelo Hawai‘i instead of English words to forward my commitment to action toward indigenous resurgence and decolonization. The Hawaiian Language Dictionary Online is a great resource for translating unfamiliar words, and also engages you, wonderful reader, to take responsibility for your own learning. Aloha ‘āina. Cradled in the embrace of wealth. Photo by Rachel Patrick. For Kanaka Maoli, land is understood our ancestor rather than as a resource, and this concept is the foundation of our identity as Hawaiians. It is integral to our perspective of the world and to our understanding of our place in it. Various mele ko‘ihonua, or cosmogonic chants, such as the Kumulipo, detail the mo‘olelo of our mo‘okū‘auhau as Kanaka Maoli, which traces our genealogical connection back to Papahānaumoku, Mother Earth, and Wākea, Father Sky, and to the marine life, animals, and plants that are of this earth. They also identify the kalo, Hāloanakalaukapalili as our elder brother. Thus, by the terms of our creation, ‘Ōiwi are part of a reciprocal relationship with ‘āina, our mother and provider, and with all natural life indigenous to these islands that surrounds us. Therefore, Kanaka Maoli have an intrinsic connection to Hawai‘i, which comes with an inherent kuleana to mālama and aloha ‘āina. 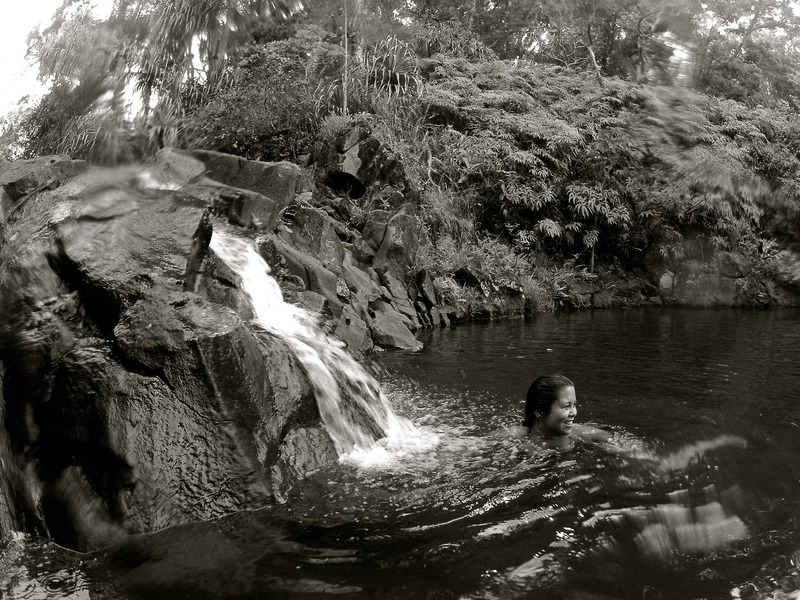 Kanaka Maoli ontologies birthed the values of mālama and aloha ‘āina, and although colonialism, in its shape-shifting forms, seeks to sever that sacred connection to the land, various ‘Ōiwi organizations and community members resist. Rather, we fulfill these kuleana and pass on the importance of honoring them to the community – settlers, tourists, and Kanaka alike. Most importantly, these programs offer invaluable opportunities to participate in ‘āina-based education and cultural programs that help to strengthen the bond between people and the land. I have had the honor of volunteering with one of the most successful models of Kanaka Maoli indigenous resurgence, Kōkua Kalihi Valley (KKV), and of participating in their Ho‘oulu ‘Āina program on multiple occasions. This group focuses on education of the youth and other community members, native plant reforestation and rehabilitation, and practicing and passing on ‘ike ‘āina, land based knowledge. The work that the group does emphasizes the importance of a reciprocal relationship between the people and the land. Having volunteered with Ho‘oulu ‘Āina on many occasions, it is clear that they operate on the principle that if we mālama ‘āina then māmā ‘āina provides, which is a perspective rooted in indigeneity. 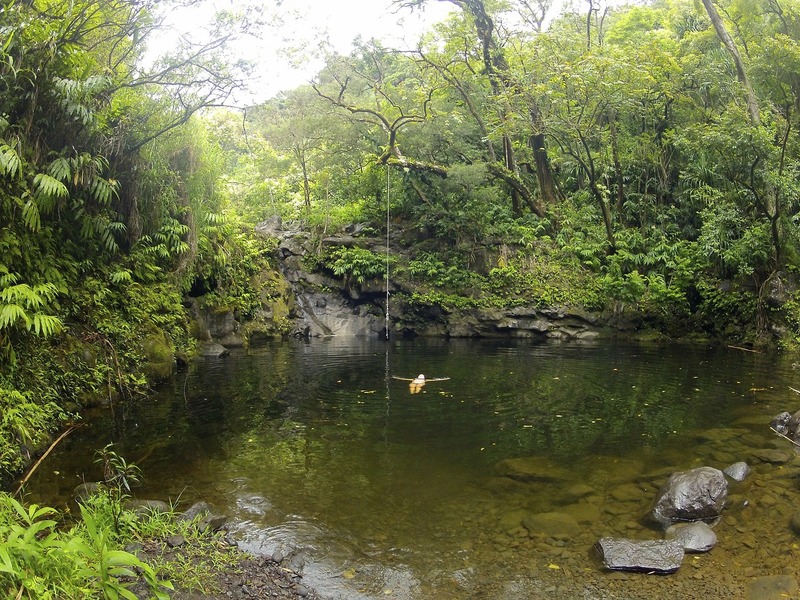 Another fledgling group that also serves as an exemplary cultivator of indigenous resurgence is Kumuola Foundation, which is based deep in Mānoa Valley. Their approach to the relationship to ‘āina, and the kuleana we have to aloha and mālama ‘āina, is similar to that of KKV’s. They also focus on organic farming practices rooted in traditional Kanaka Maoli agriculture. Both groups tell mo‘olelo, or the history, of the place in which they are based, sharing the importance of surrounding mountains and streams, as well as identifying the names of the winds and rains of those areas. Because many of the mo‘olelo that they share are not written down, they remain true to the oral tradition. The spirit of disseminating indigenous meaning-making that both groups emphasize runs along the same vein as Leanne Simpson’s Dancing on Our Turtle’s Back in that their indigenous resurgence practices are rooted in cultural stories, as well as Mishuana Goeman’s Mark My Words: Native Women Mapping Our Nation in that they are (re)mapping spaces that have had colonial violences inflicted upon them while privileging and transmitting cultural and traditional narratives. Kanaka Maoli groups such as Ho‘oulu ‘Āina and Kumuola Foundation are special in that they bring theory into praxis, which is especially exciting because they are open to everyone’s participation. 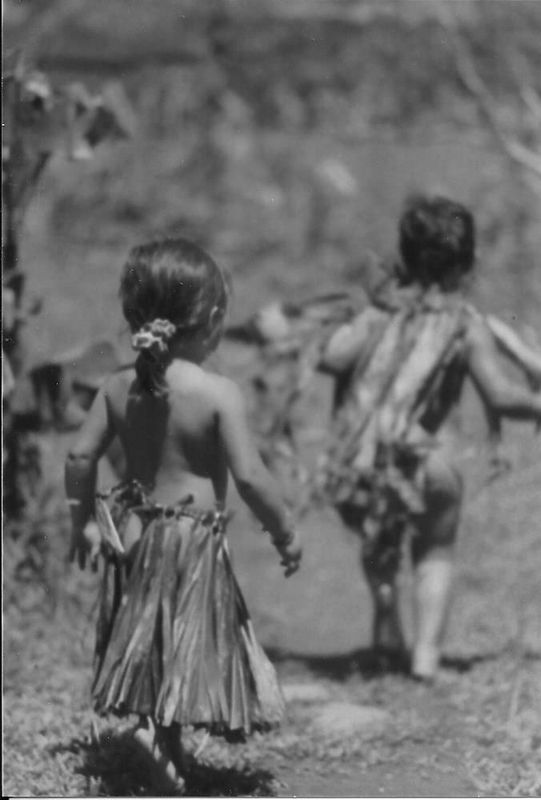 Rooted in a Kanaka Maoli cultural context, and by investigating current-day issues and cultural practices from within a Kanaka Maoli centered framework, I hope to underscore the value in living our indigenous ontologies. As this project exists online, in the form of Hawk + Hāloa, it has the capability to almost be a living, breathing entity that connects Kanaka Maoli with Indigenous people on an inter-island, national, and potentially even global scale. It is also my hope that this blog inspires and challenges readers/contributors to live in tune with our cultures so that not only will future generations recognize us as indigenous, but so that our ancestors will as well. Yes great vision! I am a big supporter of indigenous people of the Americas and islands reclaiming their land and maintaining their cultures. Good luck to you and I wish you the best in your journey. Mahalo nui for your heartfelt words, Andrew. I also wish you the best with your journey in music and teaching! Mahalo nui for reading, and for your kind words. It’s so true that language informs our identities, and it’s often only when we take a step back that we realize how deep those structures are embedded within us. Thank you for following! I’m excited to have found your photo narrative blog as well. I have to tell you, I wasn’t aware that I was holding my breath while reading the duckling vs. swan account until I let out a huge sigh of relief at the end! I’m so relieved the little guy made it. Looking forward to experiencing more of the beauty along the road! It was tense there for quite a while…..
Amazing insight! Thank you for sharing. I was fascinated by the returning of native language. This seems to be a freeing. I instantly felt myself connect to the idea of our first intuitive language of no words. Looking forward to seeing more of your work. Aloha e Kara Rane! Mahalo nui for connecting. What profound insight you share on our first intuitive language. I am moved and inspired. Thank you kindly.